Caption slip reads: "Photographer: Gray. Date: 1957-07-19. Reporter: Fred. Assignment: Chief. East Africa Chief Thomas Marealle. 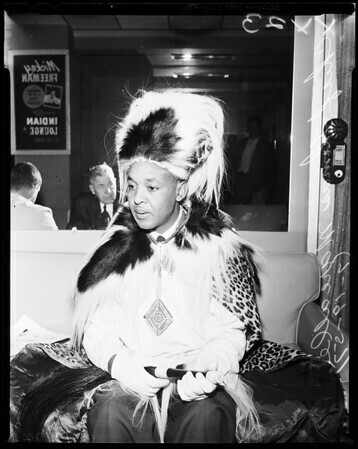 31/32: Paramount Chief of the Wachagga, Tanganyika - brought here by stat dept. Ch. Msumbue Marealle 2nd of Wachagga Tty of Tanganyika."